This is for Maria – as it always is when the Slugs play this song. As performed live at the Abbey Pub in Chicago January 22, 2010. An interesting seminar took place a few days ago. The folks at ThoughtLead put together a web event featuring 60 of the best minds in digital marketing called The Influencer Project, sponsored in part by HubSpot. Billed as “the shortest marketing conference ever”, they indeed gave each speaker 60 seconds to pass along something of value in the realm of building influence in web marketing. The event was free to sign up for and was streamed live on the Internet. For those (like me) who couldn’t participate in the live event, the organizers have posted a free MP3 audio download of the program as well as a free PDF transcript of each speakers comments. What a great idea – no surprise given the subject matter. As I began reviewing the conference materials it occurred to me that I was not familiar with of some of the speakers. Given my interest in digital marketing concepts and emerging thought leaders, I put together a list of all the participants Twitter addresses to follow them myself and share with others. I must admit to being a little surprised in how some of these noted influencers are not that easy to find on Twitter! So, here they are all in once place. Of course, please connect with me on Twitter as well: @MikeHalston – even though I’m not an ‘influencer’ as yet.. Honoring the return of Daylight Savings Time, I give you “Spring Forward“, a track recorded by The Slugs (Dag, Gregg, Mike and Johnny) for Johnny L.‘s brand new CD entitled “Friend“. 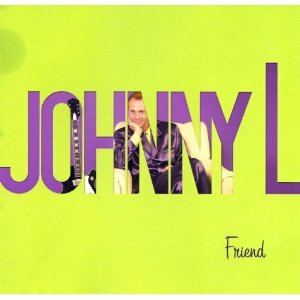 Enjoy this preview, and get your copy of Friend from Amazon – it’s a great record full of wonderful songs and collaborations from Johnny L.! You are reading the first blog I had ever launched. This was an experiment for me to dive in and see what blogging is all about. I have never been a writer but like anyone, I have plenty to say. Shortly after launching my personal blog I quickly realized a few things. One is the hosted WordPress platform graciously provided by my hosting company is far more limited than I like. After just a few weeks, I felt compelled to download, install, and customize WordPress to use for my Cubs fan site blog. I’ve since learned to tweak and customize WordPress to a great degree. I now have many WP installs that I maintain for sites I run or contribute to. The creative flexibility of a custom WP install makes it harder and harder to return to this blog with it’s rudimentary design and features. There is a new super-mega resort on the Las Vegas Strip that is finally ready to open – some of it, anyway. If you’ve been to Vegas in the past couple years you may have noticed the giant construction project on Las Vegas Blvd between Bellagio and Monte Carlo. That pit has risen to become the new CityCenter complex. I can’t figure out why MGM-Mirage would pour more than 8 Billion Dollars into a new resort and name it with such a bland, meaningless name. It inspires no vision, no imgaination, and for those of us who already live in cities, why would anyone long to vacation in a “city center” resort? Names like Caesars Palace, Rio, Bellagio, even Wynn all conjure images consistent with an experience that is out of the ordinary. But CityCenter sounds like Wall Street or some giant convention complex. Not even a whiff of experience – whether luxury, exotic, or even party. Anyway, it is finally opening several of its core buildings including Aria (better name than CityCenter! ), Crystals shopping, Vdara and Marndarin Oriental hotels. MGM issued a video press release extolling the virtues of CityCenter, but it since has been taken down. 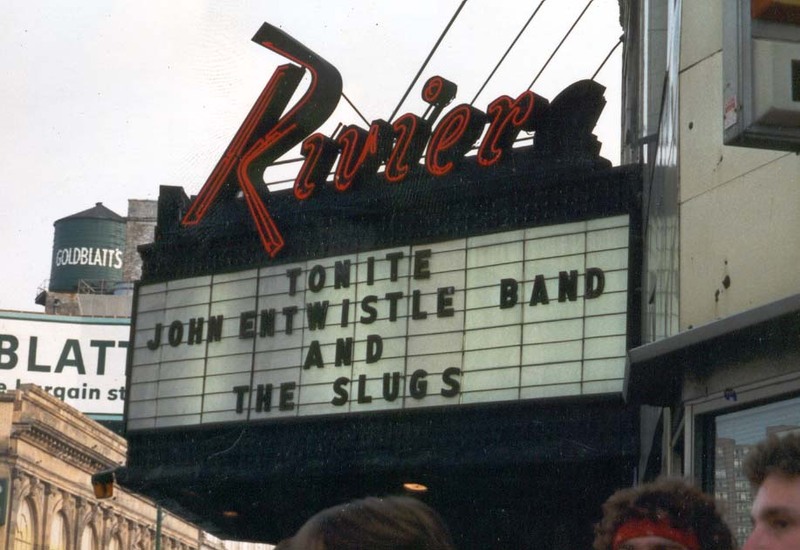 I was talking with an old friend recently about a memorable show the Slugs played in July 1988. We opened for John Entwistle, bass player for The Who. The Slugs most prominent musical inspiration at the time was The Who and getting this gig was a very big deal to us. We played the Riviera in Chicago, an old movie palace that is now owned by Jam Productions, the leading concert promoter in the Midwest. Aside from meeting our hero Entwistle, is was also memorable to meet the Who’s sound engineer since 1968, Bobby Pridden. Fifteen years later or so, Dag, Gregg and I were joined by guest vocalist Michael Dorff to pay homage to the Who during a Halloween show at Tommy Nevin’s in Evanston. We played about 5 or 6 Who songs with all the loving cacophony we could muster. Yes, I was skeptical, even mocking of the idea that anyone can produce a decent cup of instant coffee. Really, Folgers Crystals is a freakin punch line! But I have to report, trying a free sample of Starbucks Via instant coffee, it’s pretty acceptable. Even a good substitute when the real deal is not available. I know some folks that swear by Via as the *perfect* ingredient for their iced coffee – just get a cup with water & ice and add a packet of Via, shake and you have great iced coffee. Who’da thunk? Don’t get me wrong, I cannot imagine actually choosing Via over a quality brewed coffee. But for some circumstances, Via is a good fit. Following is another in a series of reports on the US economy. My Report on Local Economic Indicators (RLEI) is not scientific at all. Purely anecdotal, with really no fact at all to back it up. Culled from the personal powers of observation, deduction and reasoning of, well, me. This brand of shoddy reporting is a cornerstone of web blogging in 2009, isn’t it? But I digress. In our own way, my wife Kristin and I are trying to stimulate the local economy of suburban Chicago by pumping literally hundreds of dollars into local home improvement retailers such as Lowes, Home Depot, Menards, and a hardware store once known as Ace, now under the name of Bill’s. We are leveraging the current availability of short lines at the checkout, huge sales and discounting, and generally favorable market conditions to gut and remodel our kitchen. We hired an under-employed neighbor who does excellent work (call me if you want a referral) for the heavy stuff of taking down two kitchen walls to half height, breaking up our tile floor, re-routing some plumbing and electric, drywall installation and shoring up the once load bearing walls that are now empty space. Kristin has done all of the skim coating, sanding, priming and painting with the exception of one ceiling which I bravely and confidently rolled out! Ok, before I am judged for the workload imbalance, consider I work full time and Kristin stays at home working full time as a mom but having more flexibility of schedule to do these kinds of things. Plus I am verrry deliberate in how I work so frankly her output is about twice my capacity anyway. Also, I get overwhelmed easily when it comes to “handy work”. Another digression. Back to my Report on Local Economic Indicators (RLEI). The solid cherry-wood cabinets have been ordered (by Kristin, natch) so we went to Home Depot and Lowes over the weekend to zero in on counter tops. We are going with solid surface acrylic by LG called Hi-Macs. Nice stuff. What I observe though, is hundreds of thousands of square feet of no customers in either store. Seriously, at both Lowes and Home Depot, employees outnumbered shoppers! To my mind, neither of these retailers are normally staffed very heavy; there always seems to be two or three lined up to question a clerk that may have been cornered by a in-need customer. Not this past weekend. It was kind of spooky to have the stores basically to ourselves at these large major retailers on a weekend. Not a good sign. Yes, I saw the headline this morning that insurance behemoth AIG lost 61.7 billion last quarter. I did the math – that is $685 MILLION per day for three months, an astonishing number, almost incomprehensible. But what I saw or in this case didn’t see at Home Depot and Lowes over the weekend is equally disturbing. C’mon people, spread some money around! The government can’t spin this downward spiral around all by itself. I am a father, husband, friend, brother, son, drummer, journalism groupie, information glutton, Vegas junkie, web impresario, reader, writer, IT solution seller, Grammy award voter, aspiring entrepreneur, pragmatist. Connect with me. © 2019 What's Not To Like? · Proudly powered by WordPress & Green Park 2 by Cordobo.